Assistive Technologies can be more fun, efficient and organized than older tools for learning and organizing information. We live in a world full of technology, and it can be both to our advantage and disadvantage. Come learn how to maximize some of the technological offerings out there to improve educational experiences. The goal of these sessions is to provide information about tools that can be used to maximize independence and efficiency in a school setting. July 15: Executive Functioning, Time Management & Organization — Learn about apps and web-based programs to help in these areas. 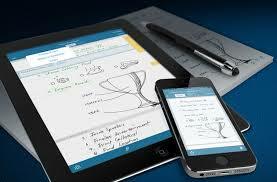 July 22: LiveScribe Smart Pens — Learn about this new format of note taking, where recordings and notes are synced. July 29: Kurzweil 3000 Firefly — This is more than a screen reader; it can help your child organize their notes and makes finding specific passages easier. August 5: Evernote — An innovative way to organize materials, it can create compilations of notes, images recordings and more. Each sessions will include a seminar, relevant demonstrations and a Q&A period. The use of these technologies would be most beneficial for high school and college aged students, but parents of younger students could also benefit from the knowledge. To register, please email info@nesca-newton.com, and include the student’s age or grade. Registration is preferred, but walk-ins are welcome. Courtney Rose Dykeman-Bermingham is a rising senior majoring in Neuroscience at Mount Holyoke College & completing an internship at NESCA. She is training to become a clinical Neuropsychologist herself. Currently she volunteers at her college’s AccessAbility Services (AAS) office. Through that position, she works with students as they transition into college life, and work to overcome difficulties related to their disabilities or transition. She has presented workshops and done tutorials on the use of assistive technologies at her college and is looking forward to teaching you about them as well.